When your Subaru needs service, look no further than Midwest Autoworx in Boonville and Columbia. With Master-level auto mechanics, cutting-edge technology and tools, honest and heartfelt communication, you will be hard-pressed to find another auto repair shop like ours in the region. Midwest Autoworx has two convenient locations for you to choose from: one facility in Boonville and the other Columbia. When your Subaru arrives at our auto repair in either Boonville or Columbia, our auto mechanics will perform a complete 33-point inspection, searching for any impending or current problems. You can think of it as a physical for your car, except it’s our auto mechanics examining your car with an oscilloscope, instead of a stethoscope. While our auto mechanics are hard at work examining your Subaru, we encourage you to utilize our shuttle and loaner car service. In fact, James Copeland, the owner of Midwest Autoworx, drives the shuttle, so he can get to know you and your family. If you prefer, you can rest and relax in our waiting room, which includes gourmet coffee, WiFi, and comfy chairs. We also have a walking trail next to our shop in Columbia. At Midwest Autoworx, we don’t just want you in and out and on your way. We intend to be your go-to auto repair shop for as long as your vehicle is on the road in Boonville and Columbia, and with us on your side, we think that will be for quite a long time. 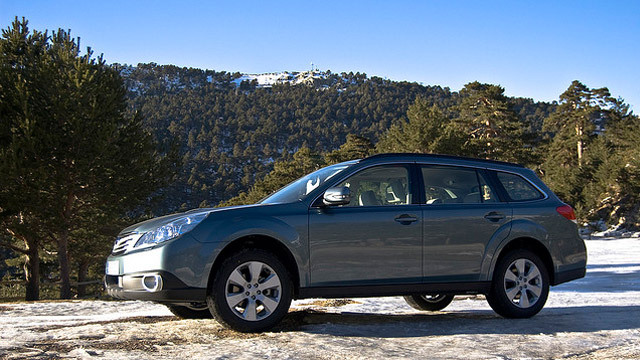 Our auto mechanics can service and repair all makes and models of vehicles, and your Subaru is no different. We are located at 2001 Rangeline Street in Columbia, MO 65202 and 1300 W. Ashley Road in Boonville, MO 65233. Call Midwest Autoworx to learn more about service for your Subaru or schedule an appointment online.